NIVIDIA GeForce GTX 970 4GB Direct X 12 (the card is running warm at 85 degrees Celsius it may need to be replaced soon there were no notable artifacts). 16 GB (4x4GB) DDR3 RAM. These include, but are not limited to swords, daggers, ninja stars, bb guns, airsoft rifles, etc. 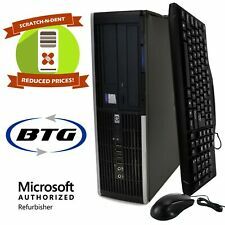 ---Intel Core 2 Duo 2.6GHz Processor ---4GB Memory Installed ---500GB SATA Hard Drive ---DVD Optical Drive ---Ideal for both Home and Office use ---Genuine Microsoft Secure Anti-Virus ---Wire and Wireless Internet ready ---Loaded w/ Genuine Windows 10 Home W/ Certificate of Authenticity (COA) recovery partition is included (This computer HAS a newly attached License/Certificate of Authenticity (COA) along with the ORIGINAL COA) ---External ports 7.0 x USB 2.0 ports (2 front, 6 rear) 1.0 x Ethernet Network (RJ45) 2.0 x VGA Out 1.0 x Stereo line-in 1.0 x Speakers, line-out, 1. 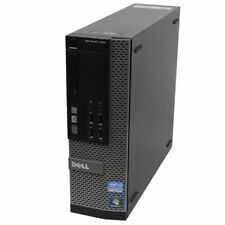 Dell Optiplex 7040. i5 6500 @ 3.2 GHZ - 8 GB DDR4 - 1 Tb HDD - Windows 10. Condition is Used. Shipped with USPS Priority Mail. HUGE DISCOUNT on Scratch-N-Dents! Keyboard Mouse WiFi! Hard Drive: 512GB SSD. 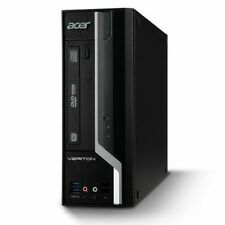 Form Factor: Small Form Factor (SFF) Desktop. We have verified that all of the ports and connectors are in proper working order. We professionally refurbish computers to Microsoft's strict standards. 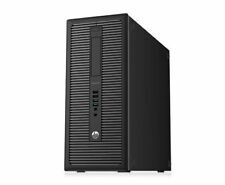 Build your own HP 8200 Elite from the options below! There is No OS on this device as well as no HDD. At CIT Electronics, we are proud of the service and quality of the products we provide. (2TB Hard Drive. Office) Adobe Acrobat Reader and regular web browsers. USB Wifi Card. 19" Monitor with speakers. Monitor are well tested to full function. The Computer. Built for high-end computing and visualization. Windows 10! Keyboard and Mouse LIMIT 2 PER CUSTOMER ! Fully functional. Windows 10 PRO installed - ready to use out of box. Build your own HP 8300 Elite from the options below! Hard Drive: 2TB HDD. Added Features: USB WiFi Adapter / Keyboard / Mouse. I/O Ports / Connections: Ethernet / LAN, Headphone / Speakers output, Line-in / microphone input, USB 2.0, VGA. We professionally refurbish computers to Microsoft's strict standards. ---Intel Core i7-2600 Processor 8M Cache, up to 3.80 GHz ---DDR3 Memory Installed ---SATA Hard Drive ---VGA OUT ---1X DisPlayport out ---DVDOptical Drive ---PCI-e 16x connector ---PCI-e 1x connector ---8 x USB ports 2. Warranty This computer is covered by Dell Warranty until July, 2020. Warranty can be transferred. 10/100/1000 Ethernet. Input Wired Keyboard and Mouse. Rear: 3x USB 3.1 Gen 1 ports, 1x USB 3.1 port, 2x USB 2.0 ports, 1x USB 3.1 Type-C port, 1x HDMI, 1x Display Port, 1x Gigabit Ethernet, 1x Audio ports (5.1 channel (3 Jack). ). 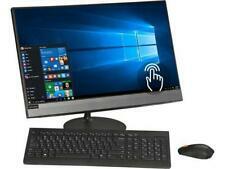 8GB RAM, 1TB HDD,TOUCHSCREEN, HDMI, Bluetooth. 23.8" Touchscreen HD LED display. 1TB hard drive for ample file storage space. How would you like your next computer to be Plug N Play and Fully Loaded?. 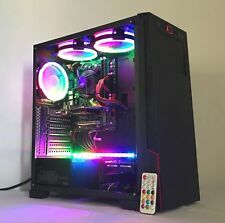 PC Specs: Intel Core i7 Quad-core 3.4GHz CPU 32Gb of Fast DDR3 RAM New 480Gb 6Gbps SSD Drive 2Tb 7200 RPM SATA Hard drive for Storage Ultra-Speed CD/DVD Burner 10 USB Ports Wireless N Gigabit Network Ethernet Port RS-232 Serial Port Parallel Printer Port Dual Display Ports(for Multiple Monitors) VGA Port Front and Rear Audio In and Out 2 x16 PCIe slots 3 SATA Ports. Play Any Game with This PC - 1 Year Warranty! 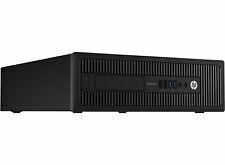 HP Elitedesk 800 G1 DM Tiny Micro Mini PC i7-4785T 2.2Ghz Quad Core 16G RAM 512GB SSD with Built-in Wifi Win10 Pro. PC Power adapter. Computing in a Small Space? An All-In-One Computer May Be Just Right! If you need the power of a full desktop system, but you don't have a lot of space (or you simply hate clutter), look at an All-In-One Computer. PCSP-144-10. Test Product. Not for Sale. An All-In-One computer is precisely what it sounds like; it's a system that offers everything you need in one unit. There is no need for a tower and a monitor. It takes up less space, which is especially important in small offices or where space is limited. As a bonus, set up is super fast and easy, remove from box and set on the desk. There are two parts to a desktop, the tower, which contains all the hardware, and the monitor. Typically, this is the first type of system that comes to mind when a home computer gets mentioned. A plus to this sort of system is that users can upgrade to a bigger monitor or replace a non-working one without having to purchase a complete system, thus saving time and money. The definition of an Operating System is the software that directs a computer's operations. It is the single most important part of a computer; some refer to it as the brain of the unit. For this reason, the OS on your machine needs to meet your needs plus be upgradable to meet your demands in the future. Additionally, the OS should be easy to use, especially if you just want to fire up the machine and get to work. A computer uses the processor unit to interpret data and write the data for storage or display on the monitor. How you determine the right CPU depends on what you plan to use your computer. For example, if you want to surf the web and check email, a multi-core processor or a fast clock speed is not required. But on the flip side, if you do a lot of video or audio editing, general multitasking, or playing games, you will want a fast, multi-core processor.